Thanks to our seasoned grounds crew, our spring aeration is complete and all 18 holes are open for play in top conditions. What is aeration? Aeration is an essential program to keep playing surfaces healthy and in good condition. 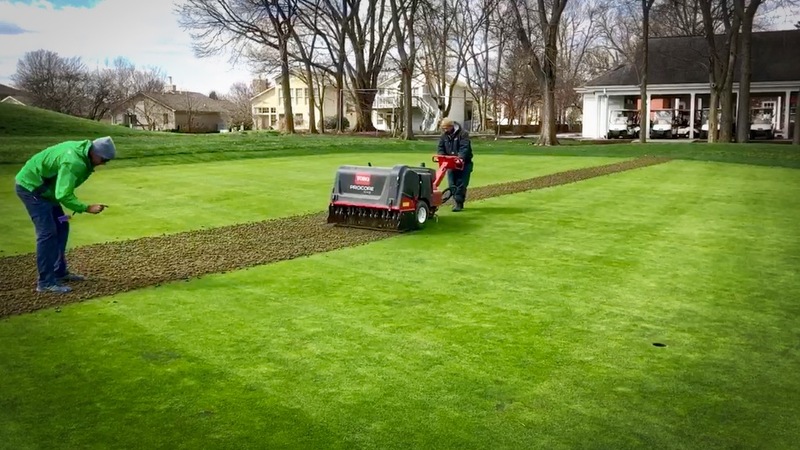 Aeration primarily is performed to control organic matter – i.e., decaying roots and grass stems – relieve soil compaction, stimulate root growth and improve drainage. Our course experiences a total aeration process annually and the entire process typically takes 10-14 days to complete and for normal putting conditions to resume. Let's roll some putts! “The clubhouse staff was very accommodating of my two junior golfers. We played the course three evenings during our stay at the Griffin Gate Resort and the staff were friendly and flexible. Very supportive of youth golf.” - Rod P.